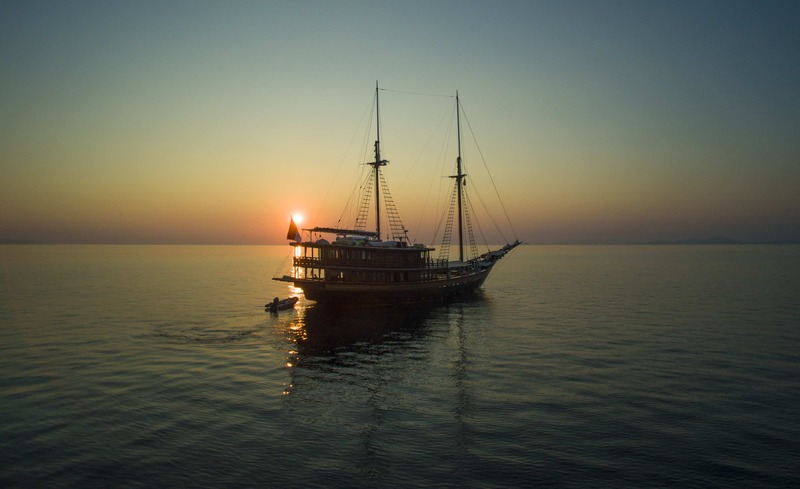 After being based in Indonesia for over 20 years, and always enjoying a life at sea, American owner Mark Robba knew it was time to buy his own superyacht. 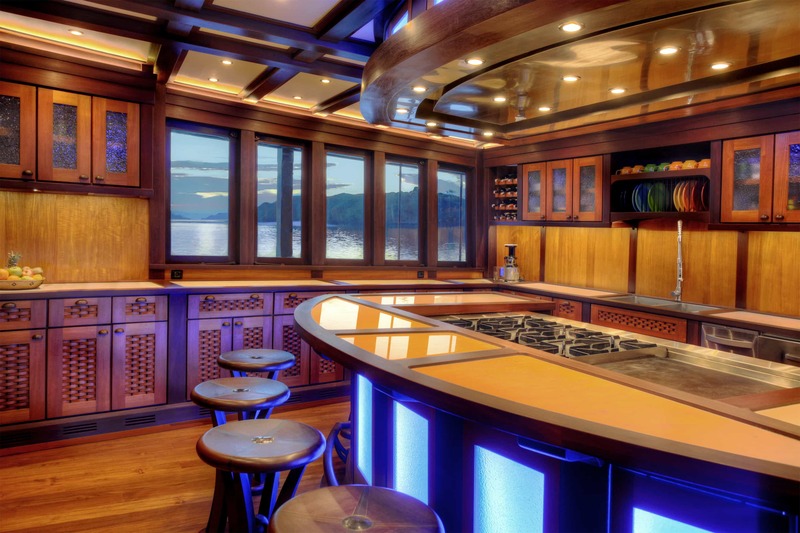 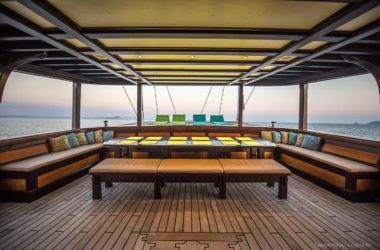 However, finding the right tool for the job proved to be tricky, which led Robba to spend the next seven years working with local builders to create the perfect luxury yacht suited to the equatorial climes and adventures that awaited them. 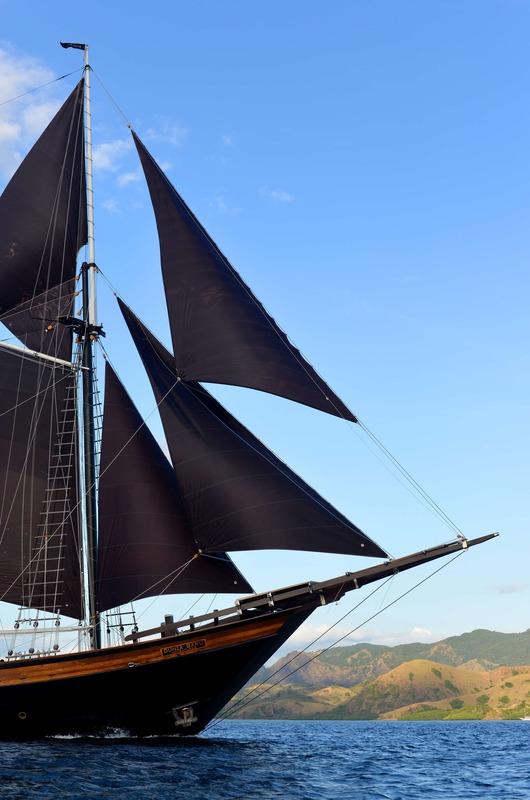 The result is a stunning sailing yacht with a striking exterior reminiscent of eras gone by and ultra-luxurious interior built to the highest superyacht standards. 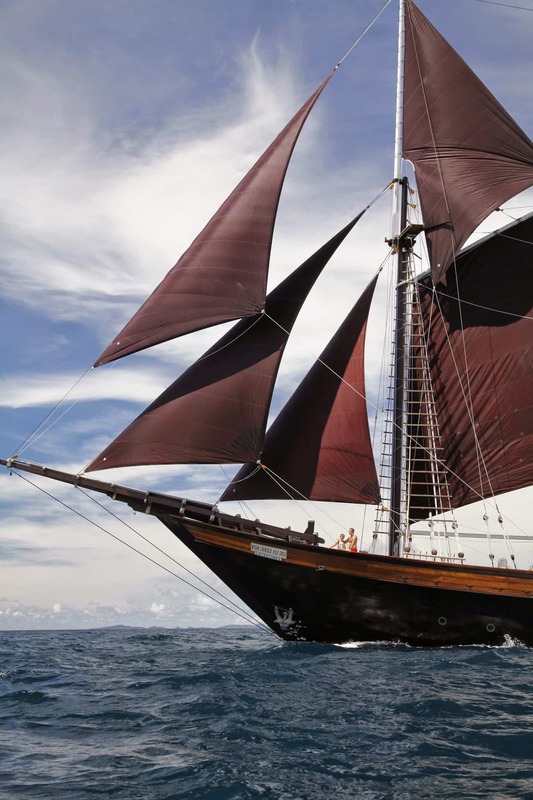 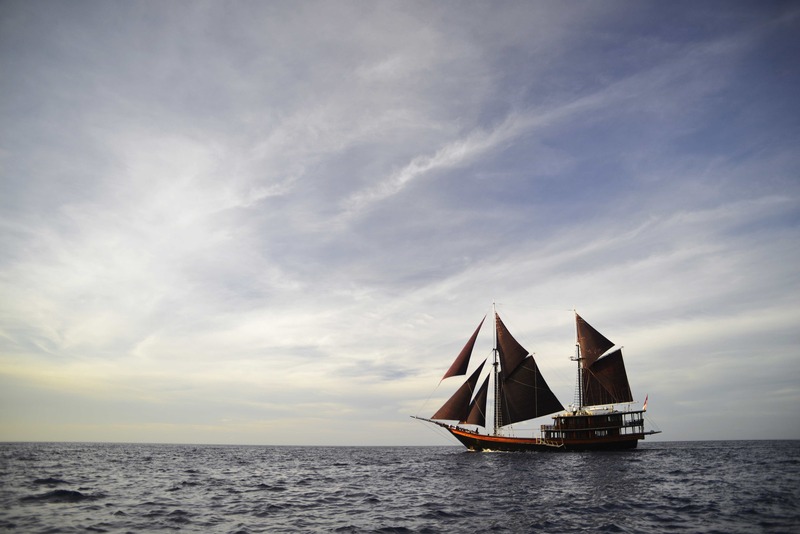 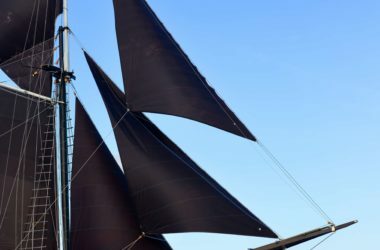 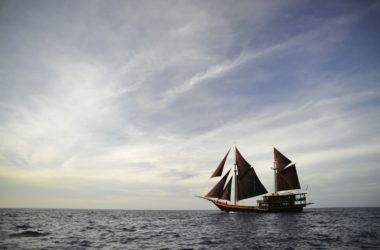 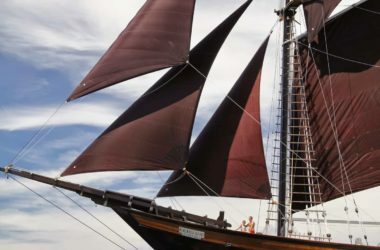 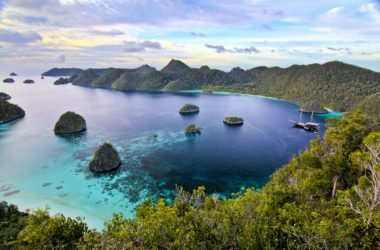 So if you’re considering something different for your vacation this year, why not take it one step further and step on board a true Indonesian sailing adventure? 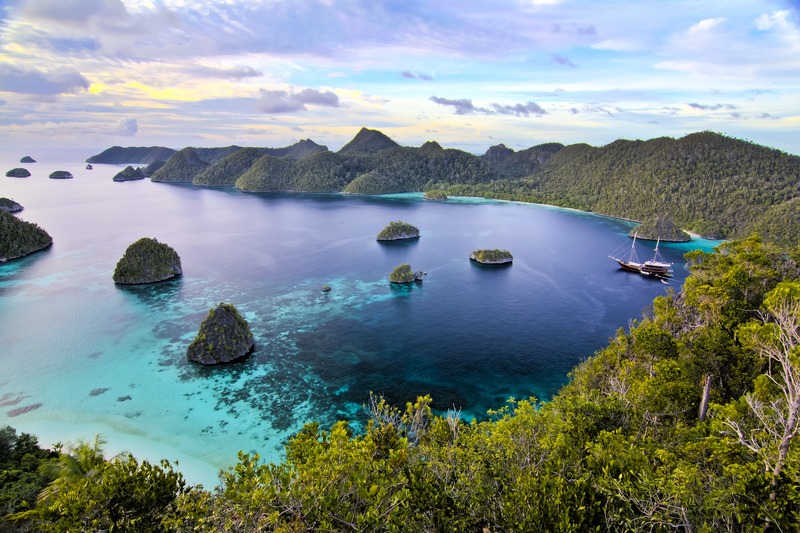 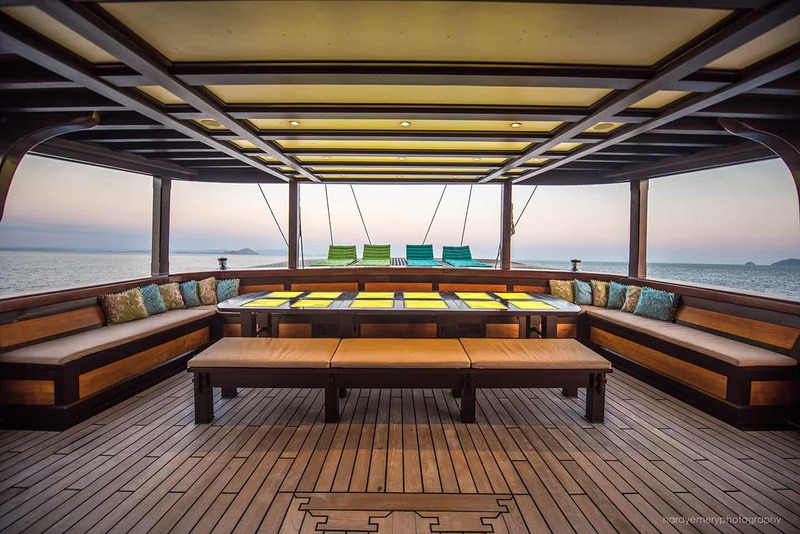 Tailor made itineraries, plenty of outdoor deck space to lounge with one of Dunia Baru’s famous Sangrias, and the ease to explore the unspoilt waters of the Indonesian Archipelago and wider Asian region make Dunia Baru the natural choice for your next yacht charter. 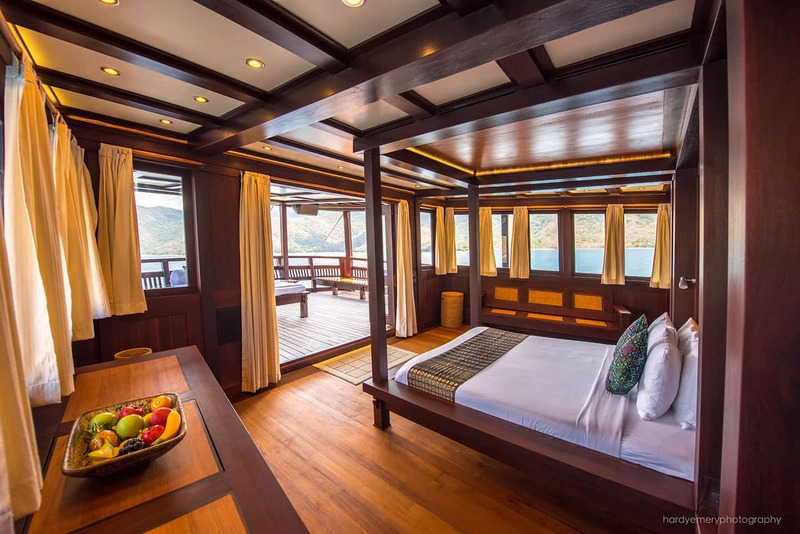 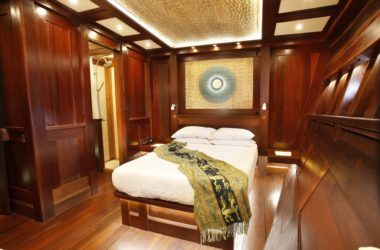 With the ability to maintain an elegant traditional style, while still meeting international standards, Dunia Baru can accommodate up to 14 passengers in seven luxurious cabins and is maintained by 18 professional and fun crew. 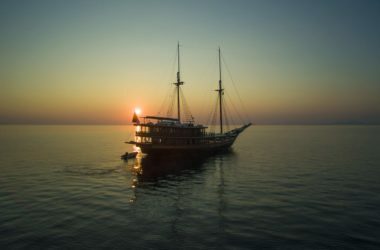 There is no shortage of toys on board and the yacht uniquely has a full-time dive instructor able to fully PADI certify guests and take them to the best diving spots in the region. 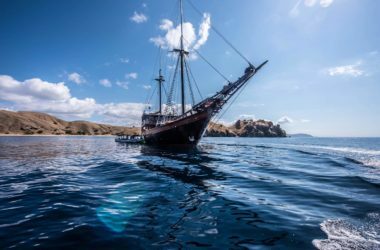 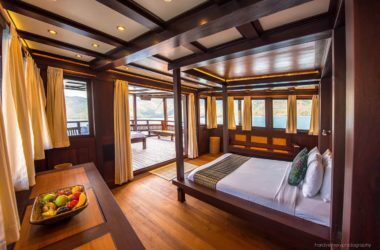 Read more about Dunia Baru with the owner, Mark Robba, the Cruise Director and learn about their charter legacy. This fantastic experience is available for $7,800 per week per person based on a 7 night charter and 14 guests. 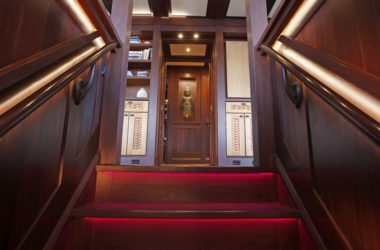 Price includes a base charter rate of $87,500, with the additional 35% covering basic taxes, fees, provisioning allowance, fuel and 15% gratuity. Any special requests over and above will be at an additional cost.